What are Auntie's made of? Love that's for sure! 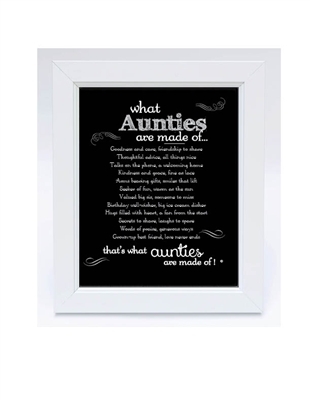 A wonderful gift to aunt from niece or nephew, or a gift from a godchild, our what are Aunt's made of poem will say it like it is. She is part big sister, friend and aunt rolled into one. 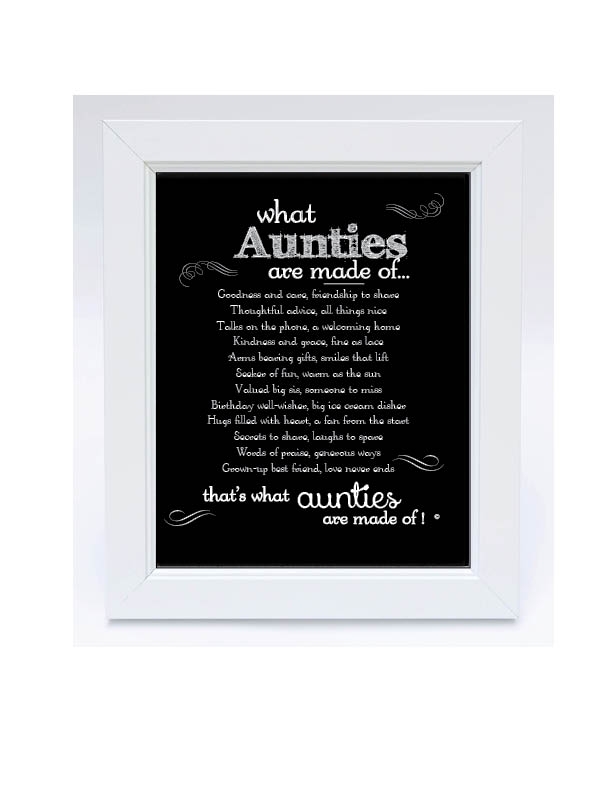 Our 8x10 framed auntie poem is available in black, white classic, white scalloped or walnut frames and is suitable for wall or table display. Whether an Auntie birthday gift, Mother's Day or Christmas present for auntie, she will love the sentiment and your thoughtfulness.